These life-size American Goldfinches are each about 6 inches long and are mounted to a real bird feeder. They were designed with multiple postures and set up to look as realistically posed as possible. 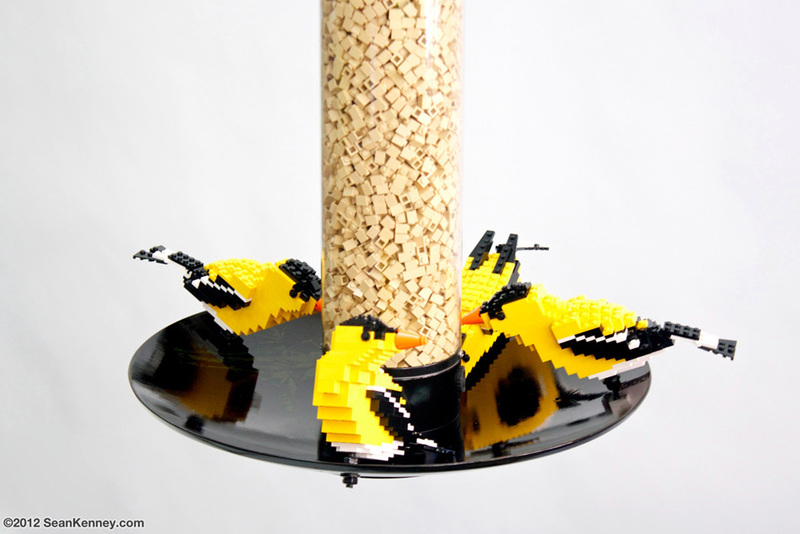 Clearly, LEGO birds eat LEGO pieces.